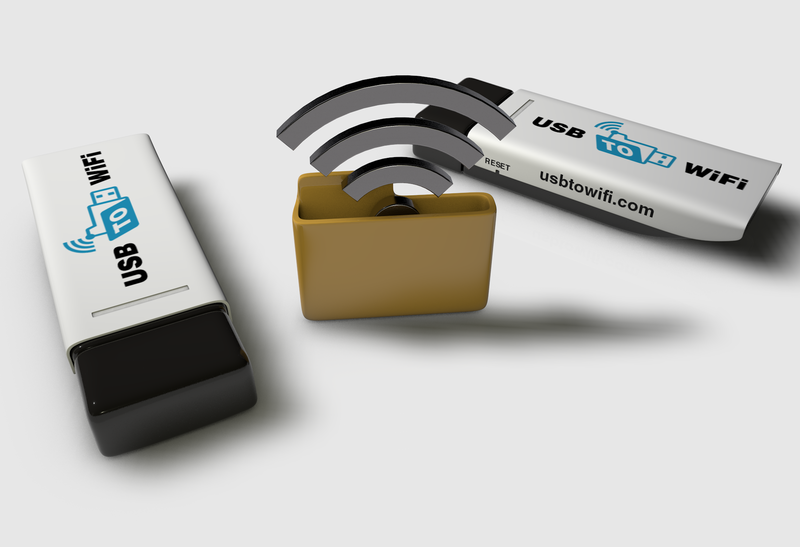 The USB to WIFI is a Wireless USB Data Stick designed to make your life easier! No need to carry a USB data stick back and forth from your computer to your device. Now you can transfer files using your existing wireless WIFI connection! The USB to WIFI Wireless USB Data Stick is easy to setup and does not require any drives or software to install. Once setup, it works just like a regular USB data stick but instead, reads data and files from a remote location. The USB to WIFI stick is the perfect solution for someone looking to transfer or share data over wifi. « How is our USB to WIFI different?